New Year, New Focus – I.E. 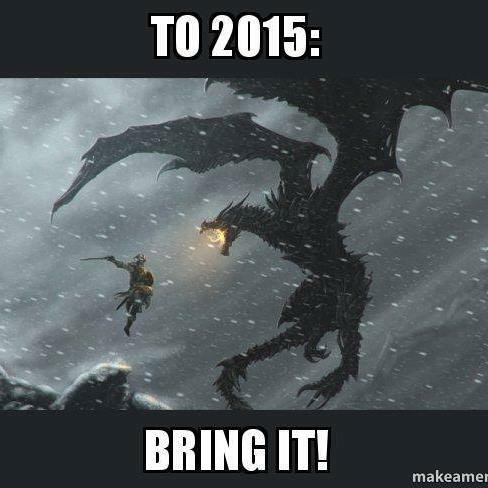 The tail end of 2014 was a thin one for this blog. Between end of semester class stress, the holidays and a little bout with writer’s block, I did not make many posts. As 2015 opens, I intend to get back in the groove and dedicate the time and energy necessary to keep things lively here in my tiny little corner of the internet. First and foremost, I will be continuing to make 5th Edition Dungeons and Dragons a major part of this blog. Both Magical Mondays and Wicked Wednesdays will continue. Much of the work I do on that front will be based on developing content for The Valley of Tombs, my “massive multiplayer table top RPG” that should see plenty of play in 2015. Most notably, I have six four hour slots set up at TotalCon in Mansfield, MA this February 19-22. With 24 hours of play and potentially 48 unique players, I want to have lots of content on hand. In addition I am going to be occasionally be developing content for the Valley Obsidian Portal Page, which I hope to use to build interest for the game. While D&D is certainly a passion of mine and a big part of this blog, I will continue to provide the occasional unsolicited rant, non-review or opinionated screed of any geeky thing that strikes my fancy. Sometimes I will even make a cogent point or two. We live in a time when geeky subjects have gone mainstream and larger cultural issues collide with niche interests, whether it is the intersection of feminism and video games or questions regarding the less palatable views of genre titans like Lovecraft. As nerds, geeks and dweebs, we are all affected by these issues in some way or another, and they are worth talking about. Finally, 2015 will be a year of refocusing on my own fiction writing. I don’t know how much of that will show up here. I don’t intend to make this blog a showcase of my fiction like I had in the past, but I will certainly be talking about it and whatever process in which I engage. I plan on writing one novel this year, but I have a lot of world building ahead of me before I can even hope to start writing. I may give self publishing short stories a try, and if I do I’ll surely be fretting about that process here. Happy New Year and thanks, as usual, for reading. This entry was posted in News, Personal and tagged Dungeons and Dragons 5th Edition, Magical Monday, The Valley of Tombs, TotalCon, Wicked Wednesday, Writing process. Bookmark the permalink.